Modern Style Tassels – Rainbow mix of 5. 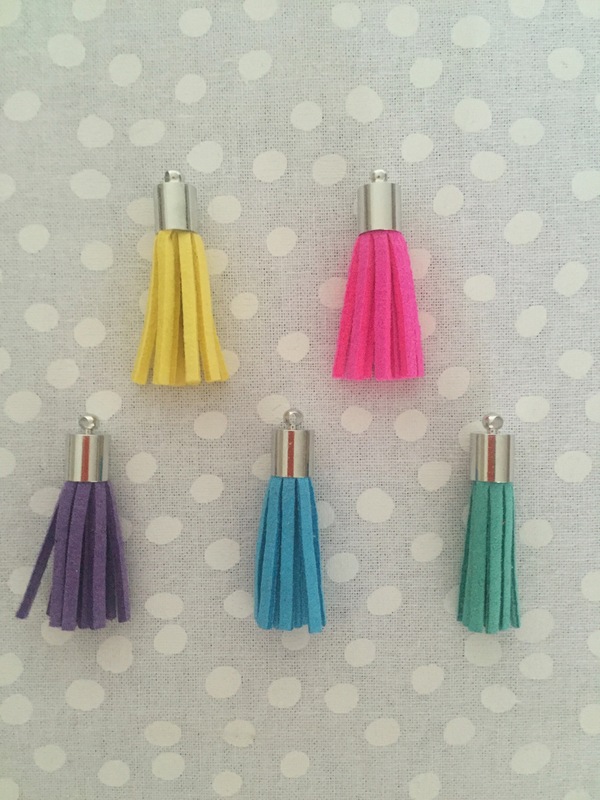 You’ll receive one each of a yellow, pink, purple, blue and green modern style tassel. Each one will come with a jump ring to easily attach to zippers or other hardware.